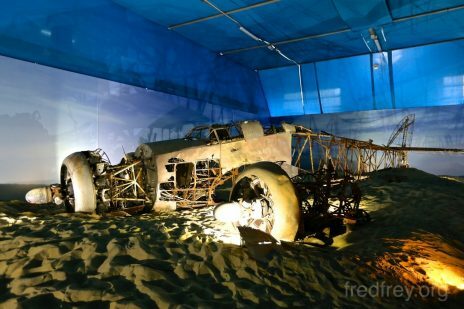 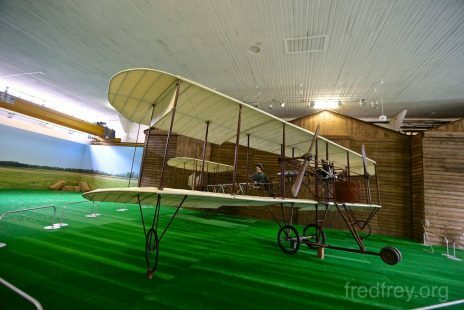 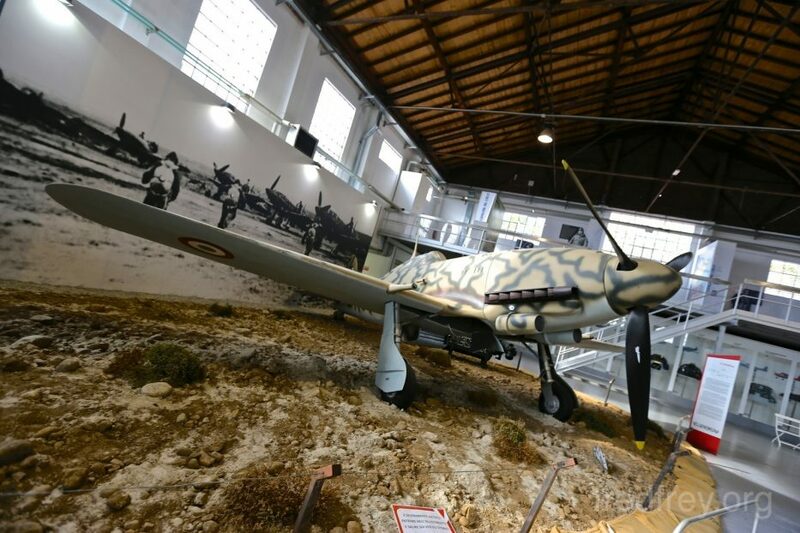 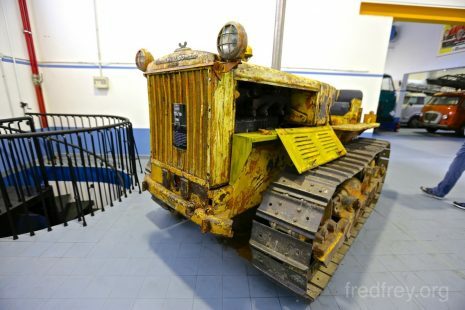 Picking up a buddy at the Milan Malpensa airport afforded us the opportunity to visit a little known museum for all things flight. 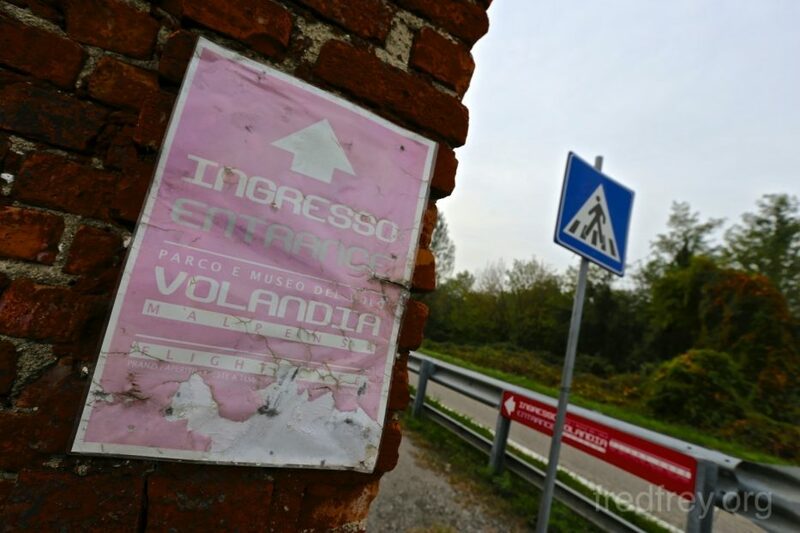 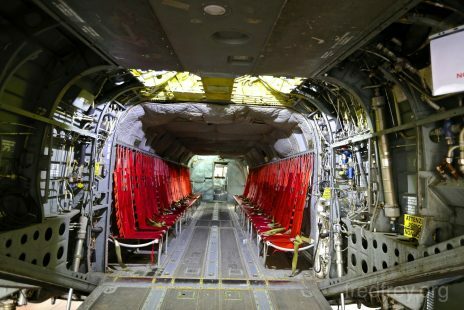 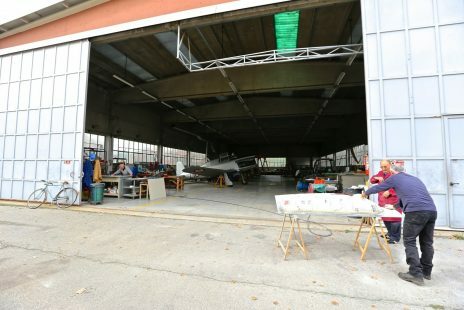 The Parco e Museo del Volo Volandia covers flight wether it be the earliest flights in gliders or space travel. 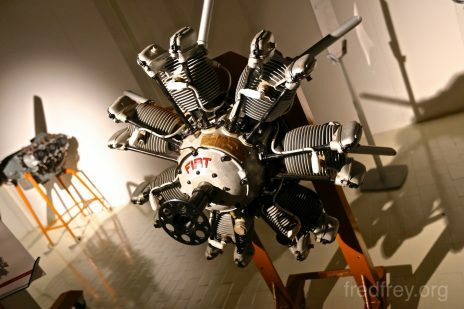 This museum also has some Alfa and Fiat aero engines on display. 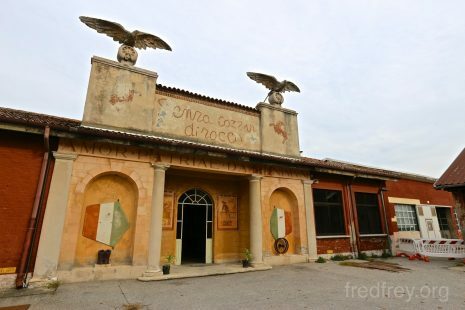 Housed in several historic buildings this is a great stop if you’ve got a plane to catch or are picking someone up as its almost walking distance from Malpensa. 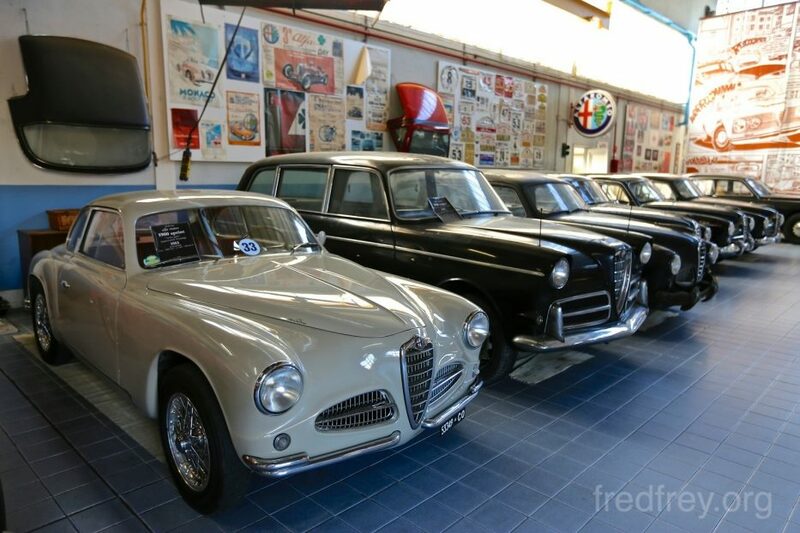 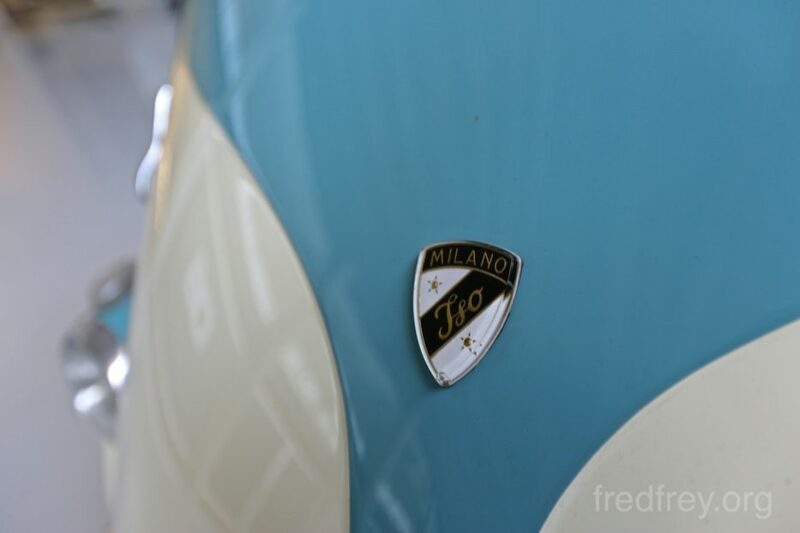 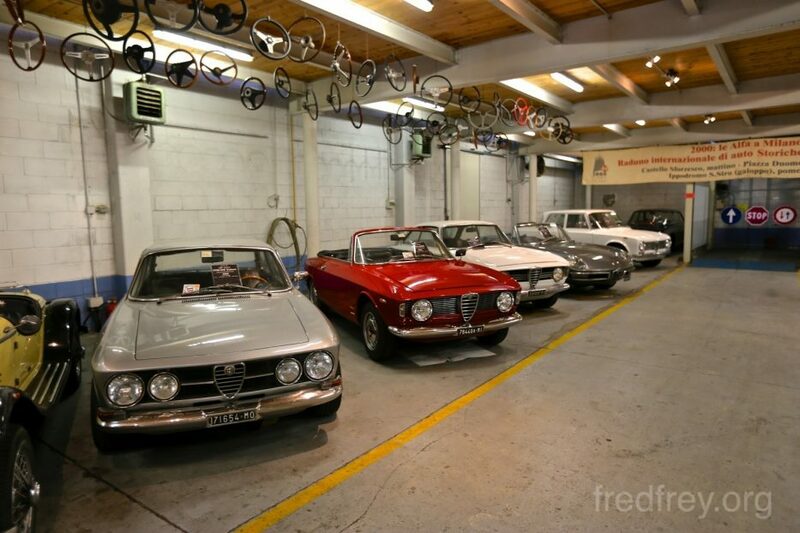 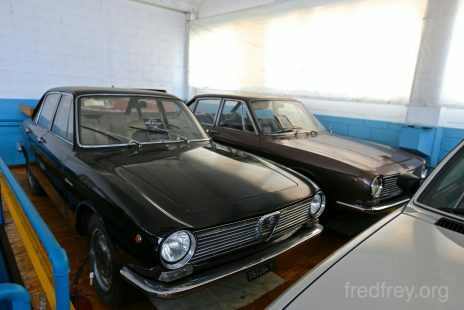 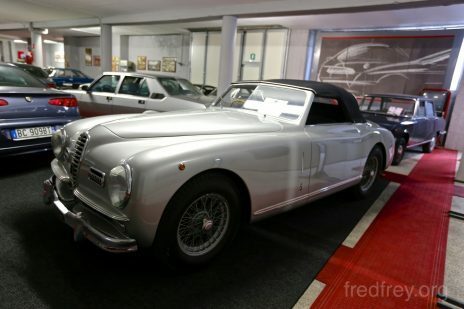 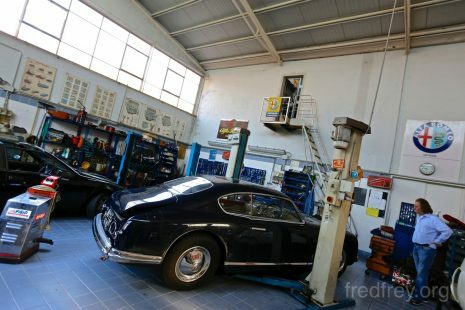 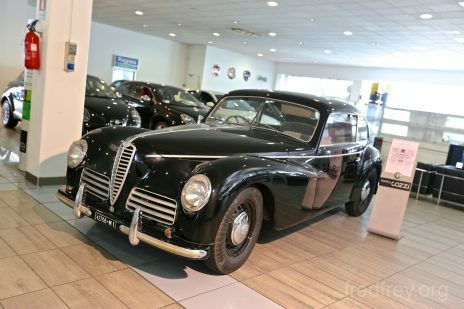 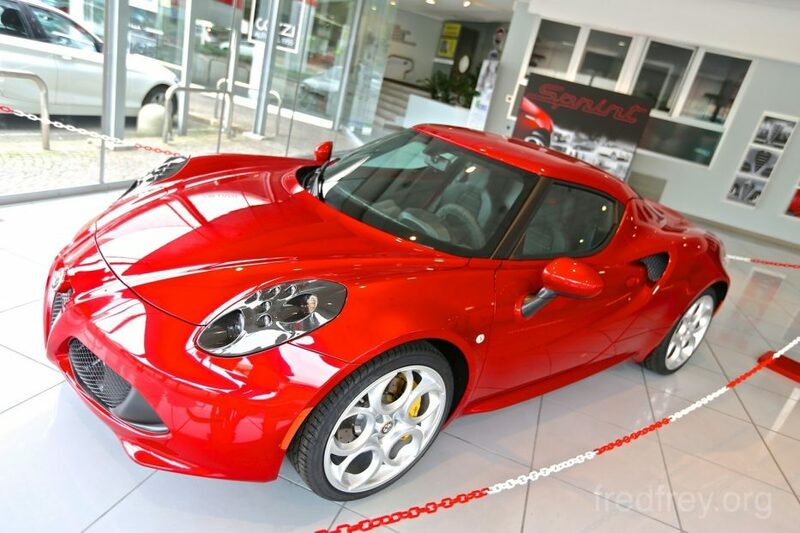 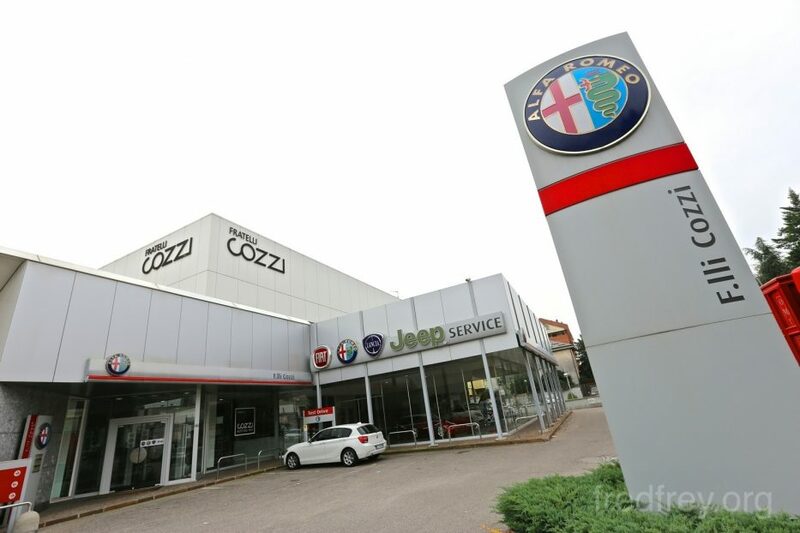 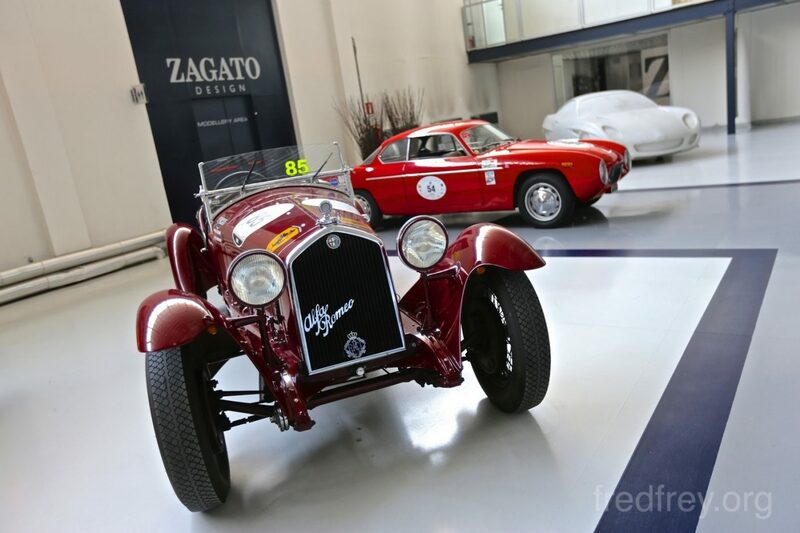 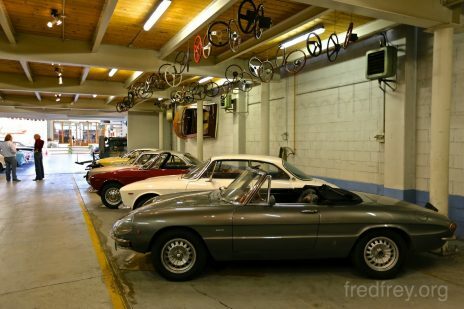 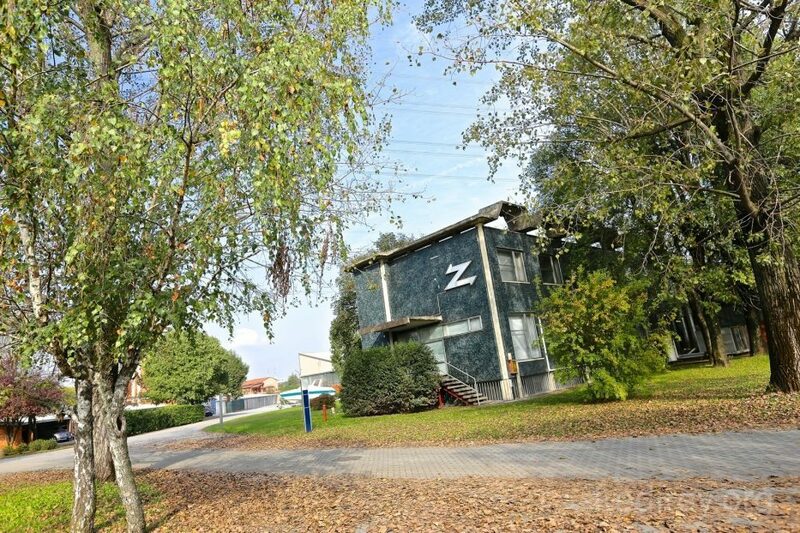 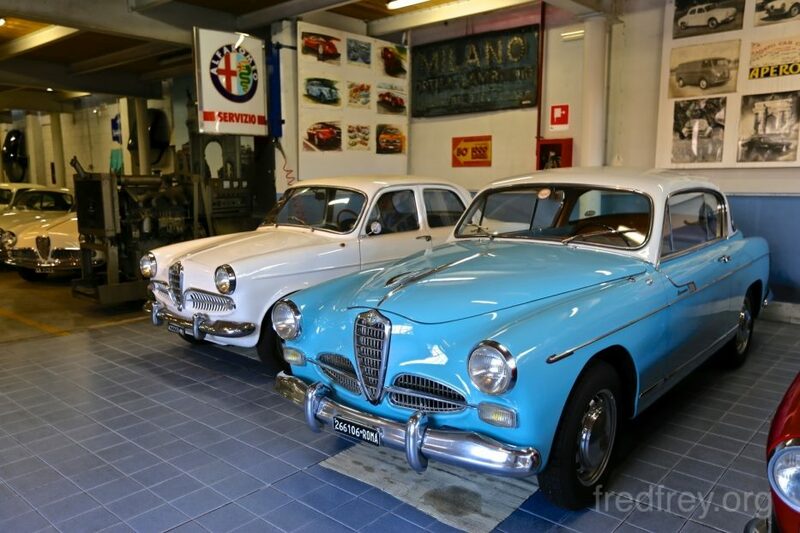 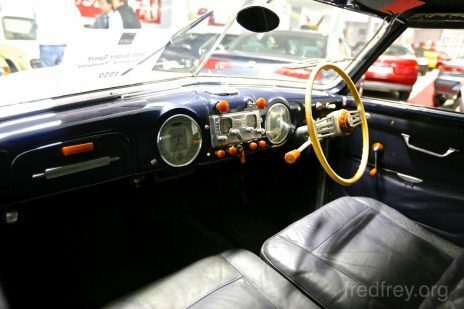 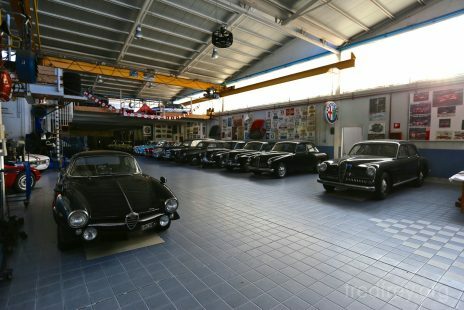 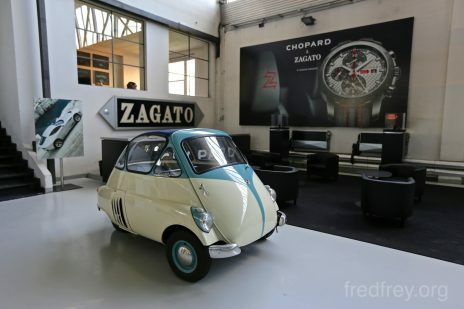 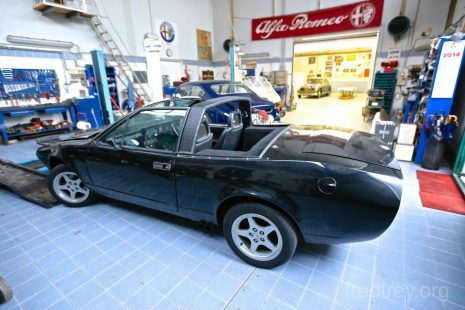 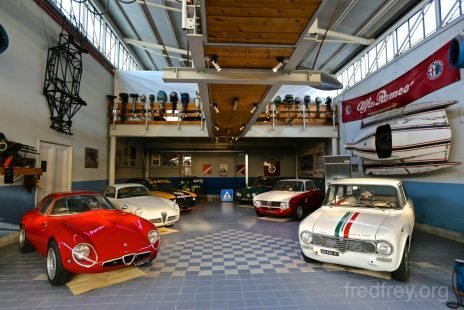 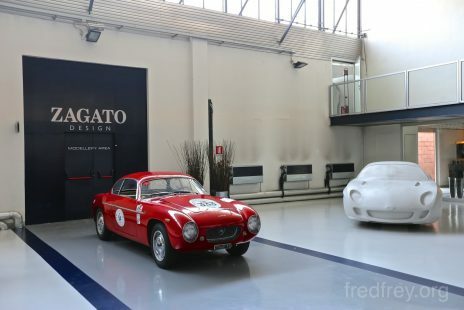 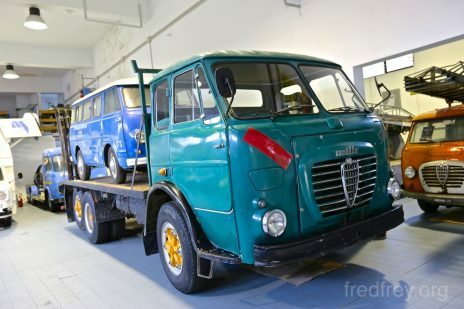 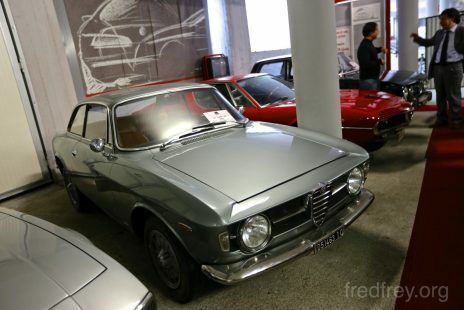 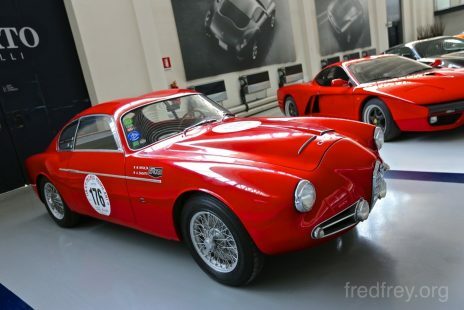 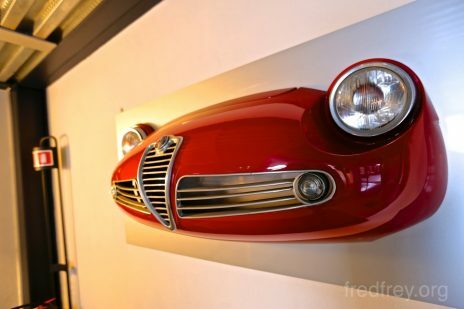 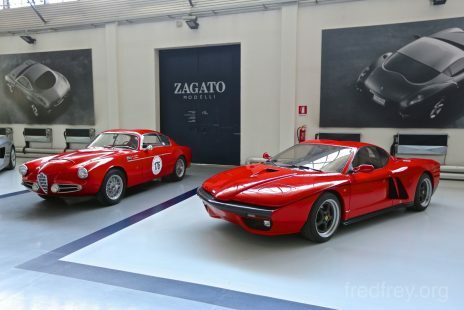 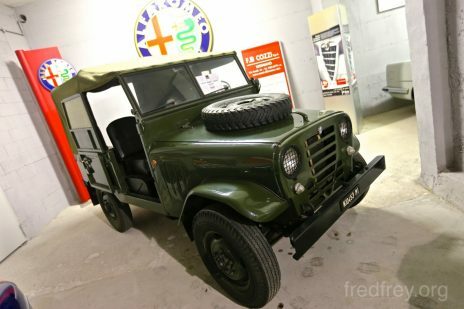 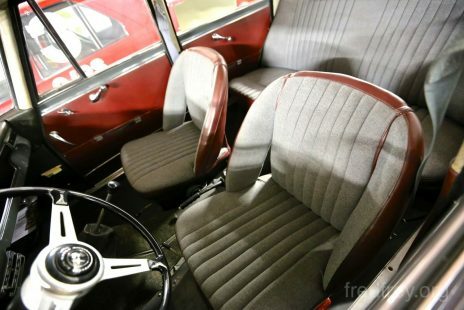 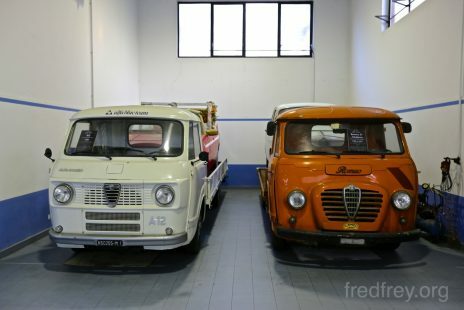 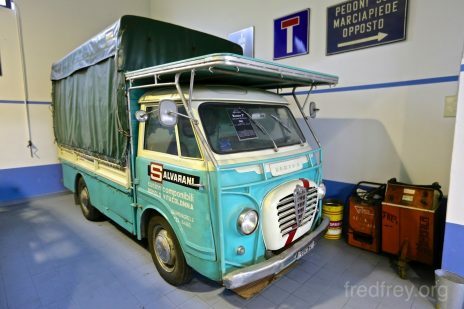 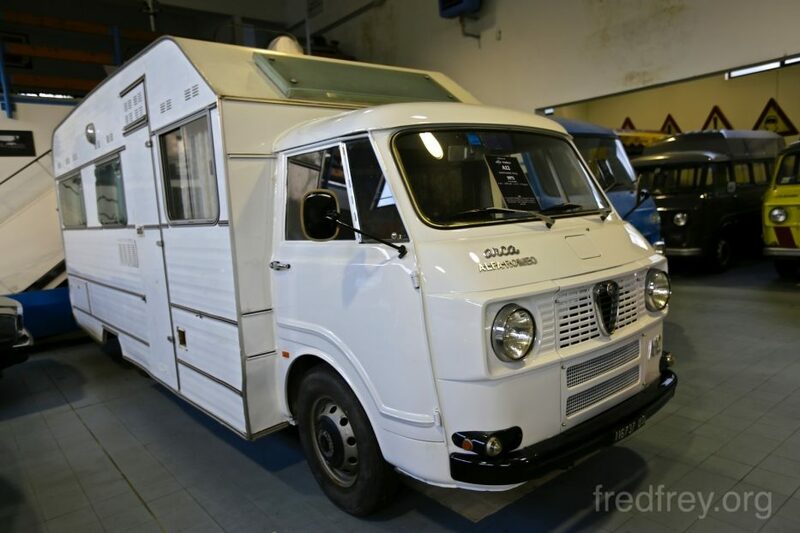 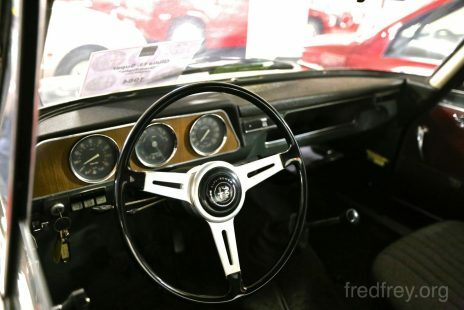 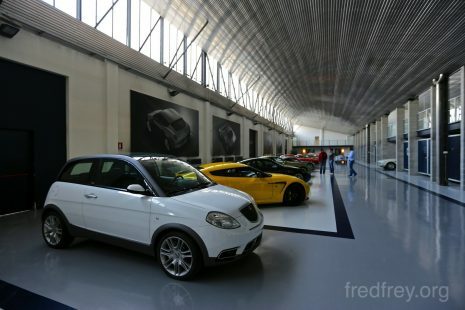 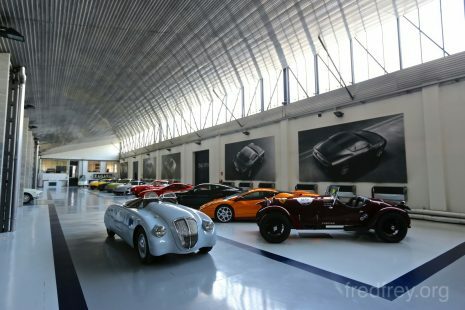 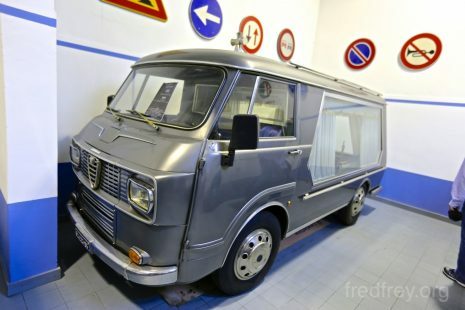 One of the worlds oldest Alfa Romeo dealers is Fratelli Cozzi http://www.fratellicozzi.it/ just outside of Milan. 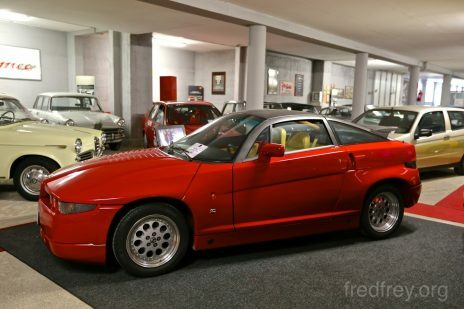 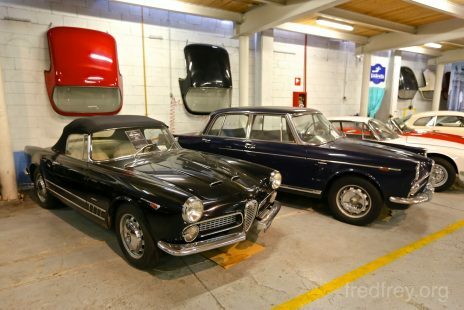 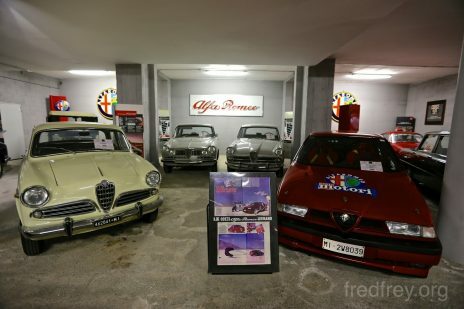 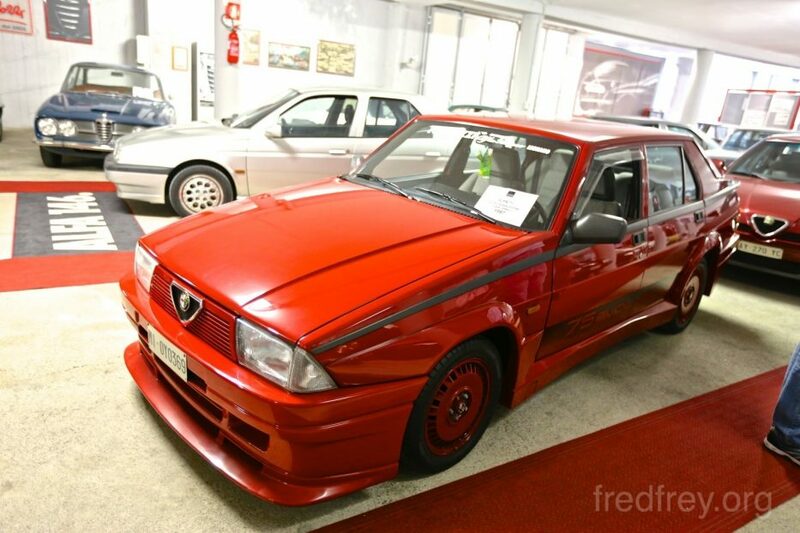 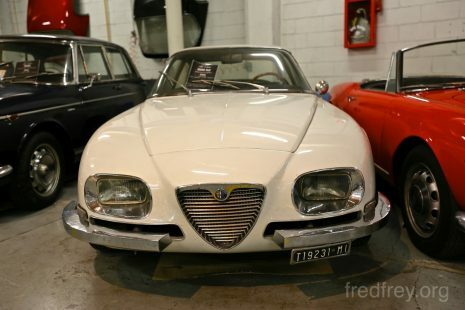 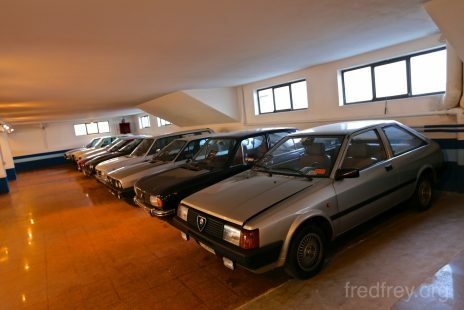 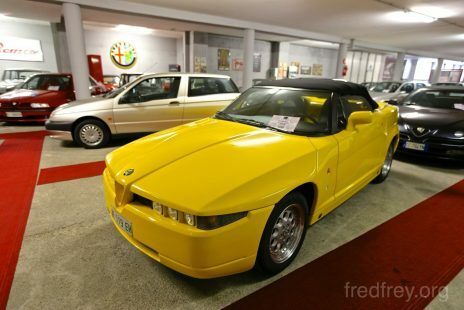 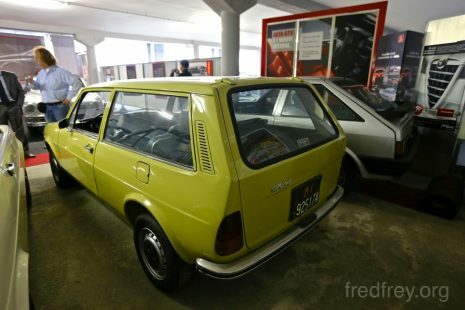 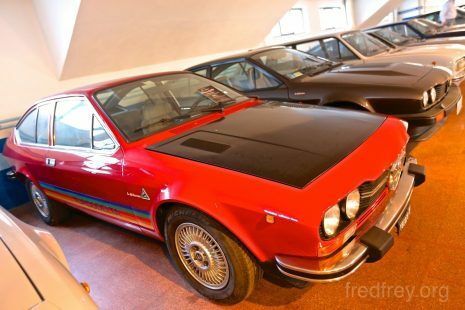 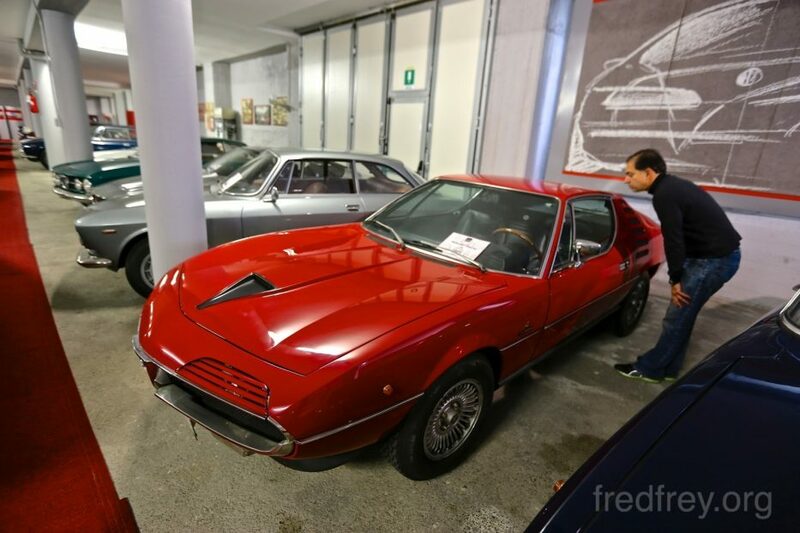 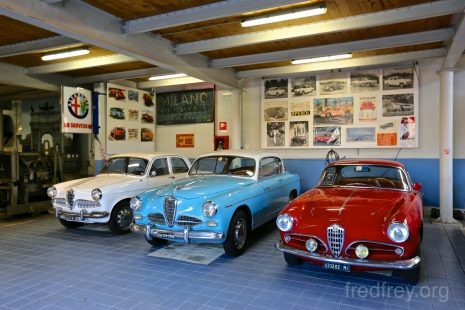 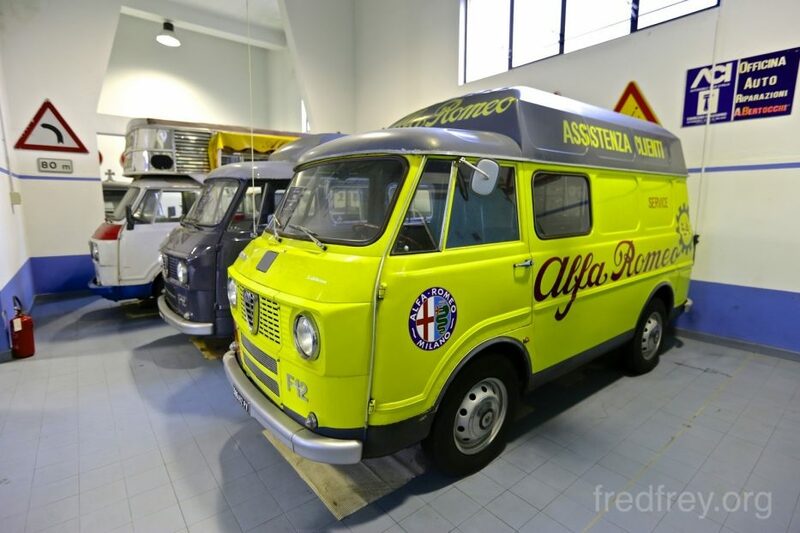 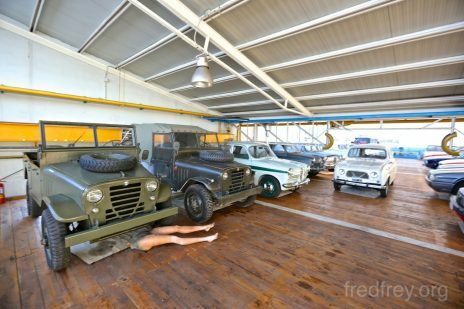 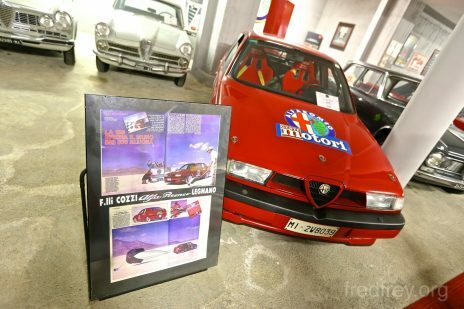 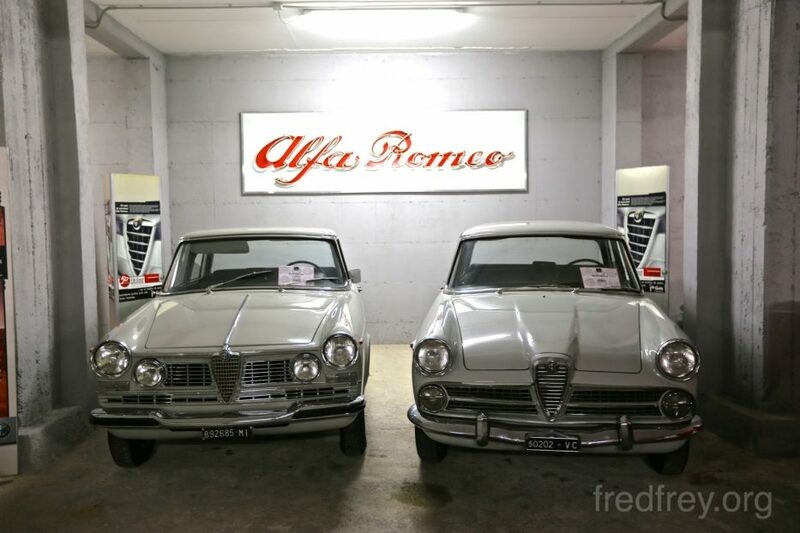 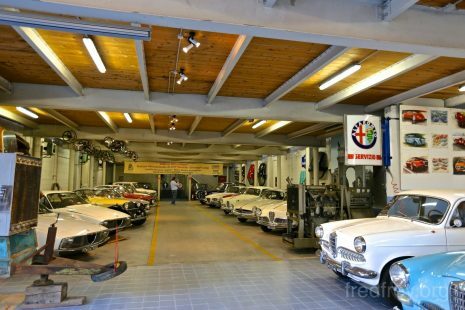 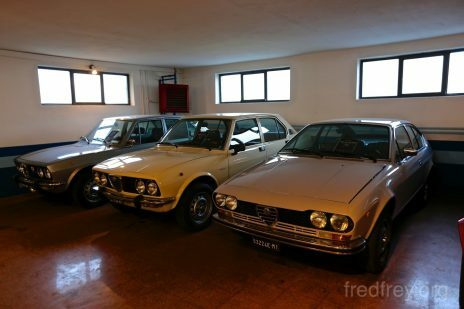 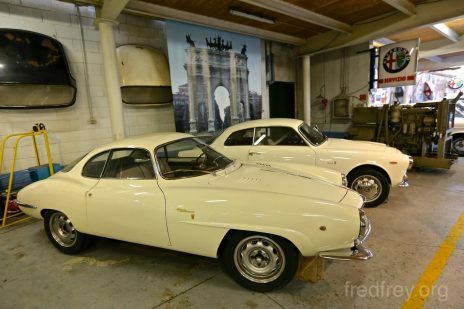 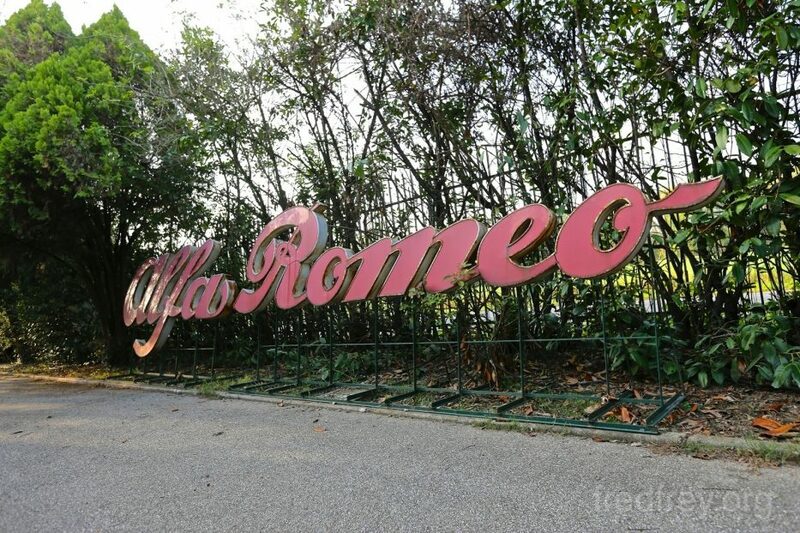 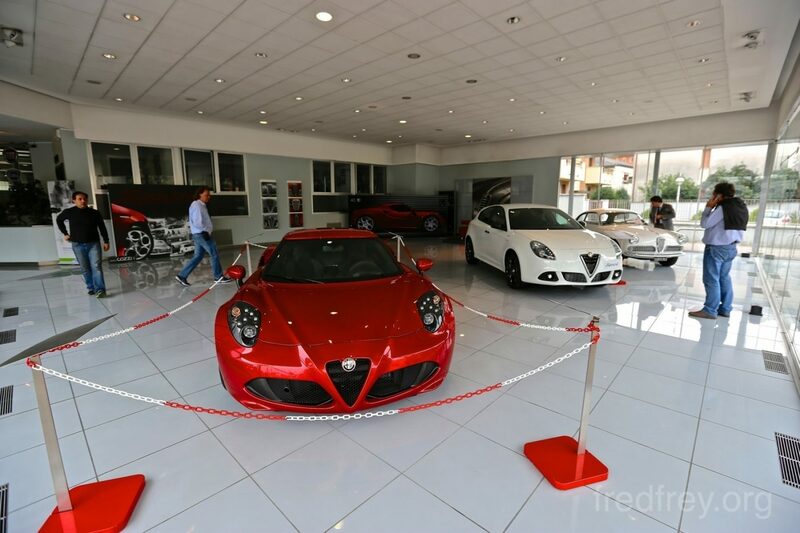 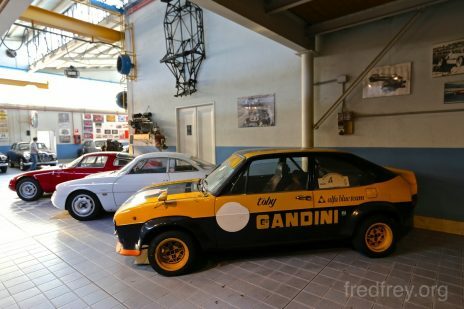 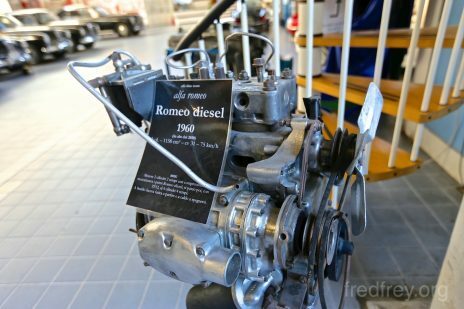 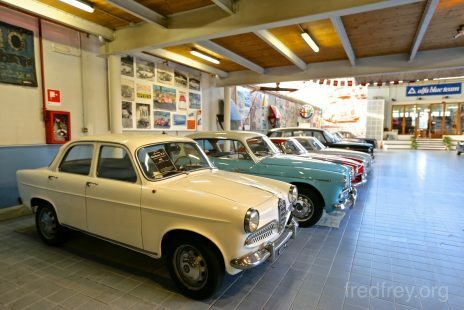 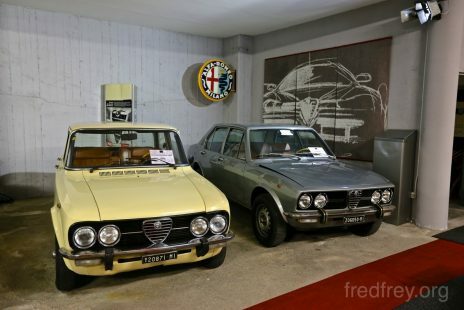 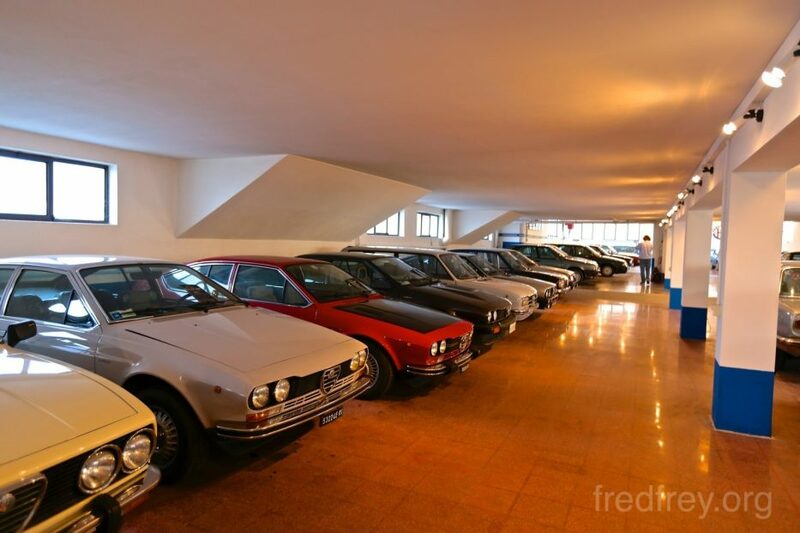 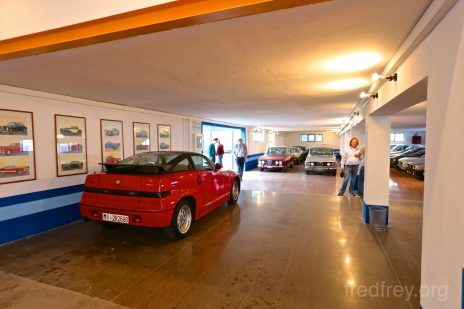 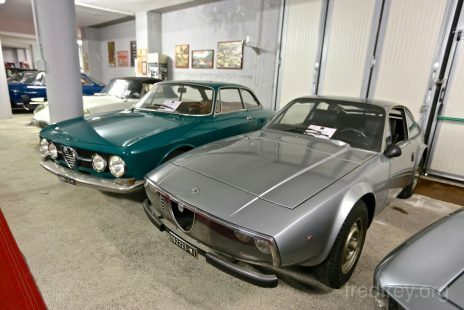 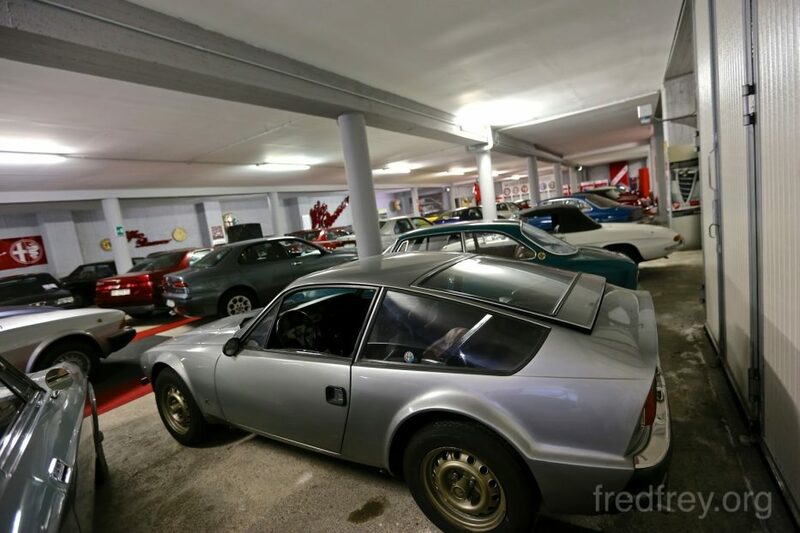 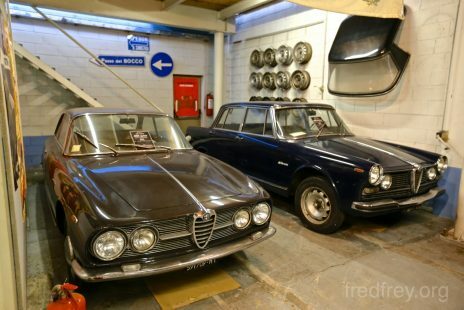 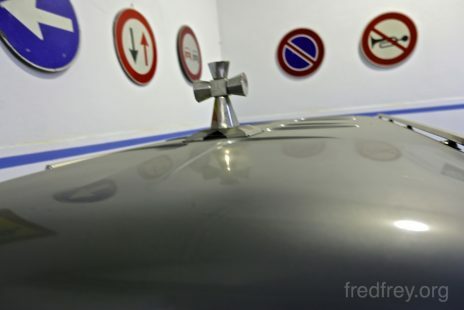 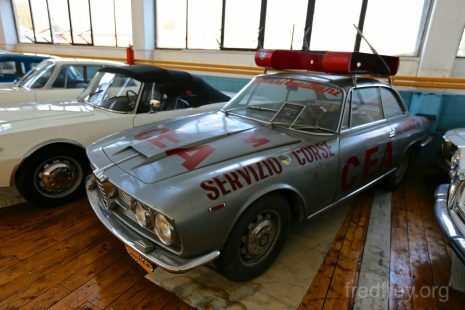 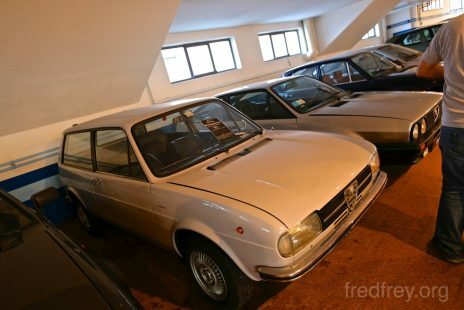 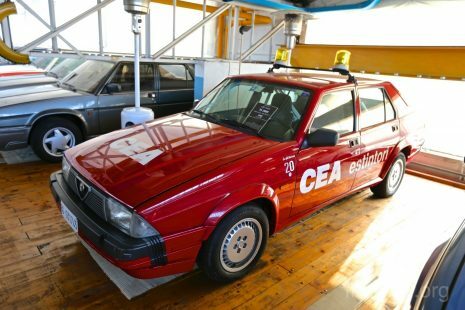 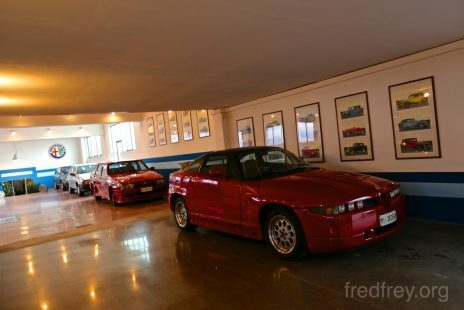 Not only famous for being a long time dealer – unbeknownst to many, this dealers showroom has an Alfa Romeo museum in it’s basement. 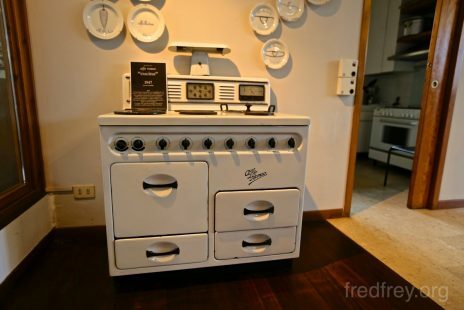 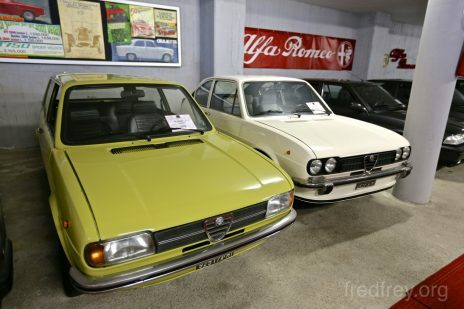 Some very rare and or one-off models are on display here. 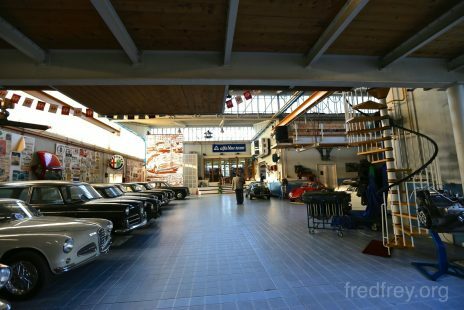 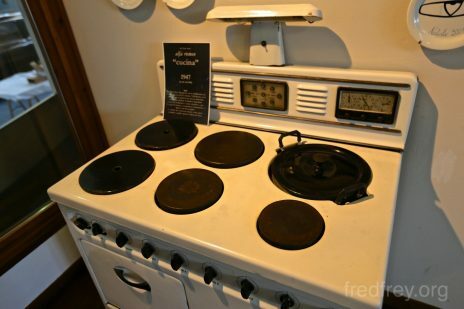 The museum is by appointment only. 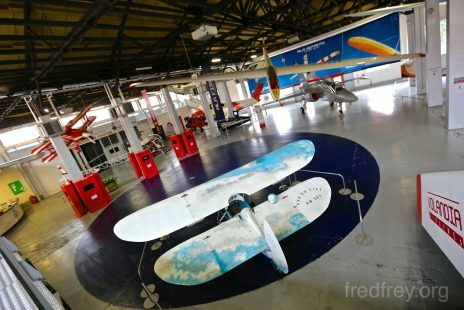 Worth booking a visit if you are in the area. 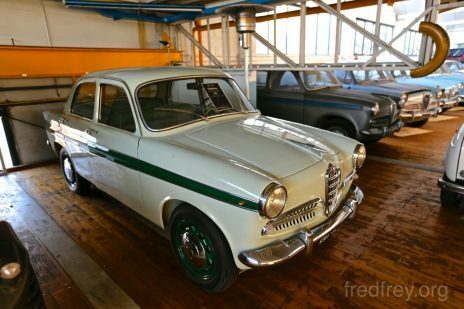 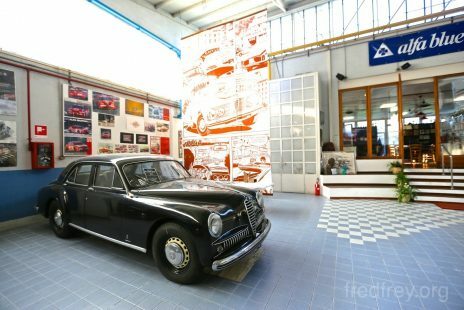 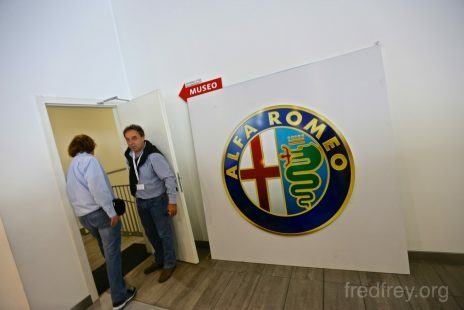 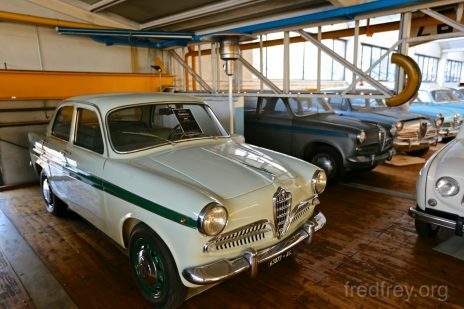 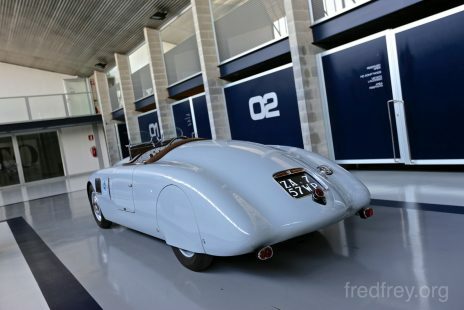 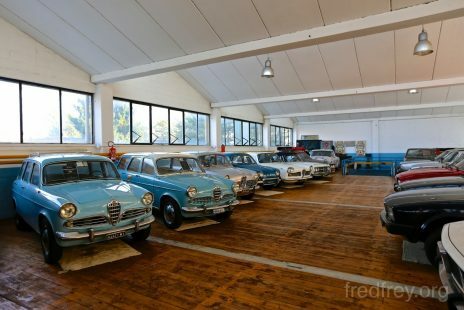 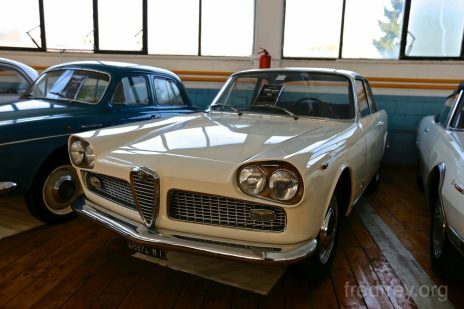 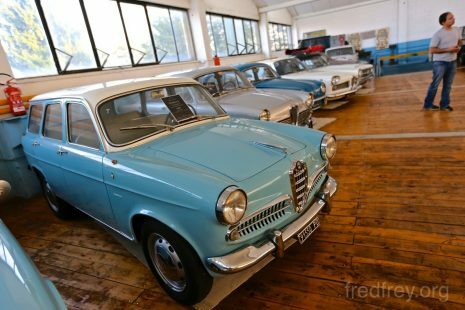 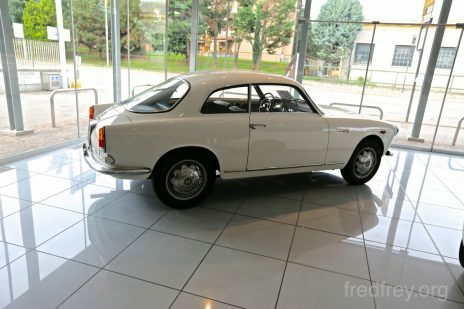 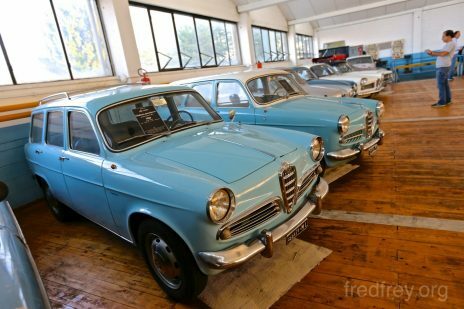 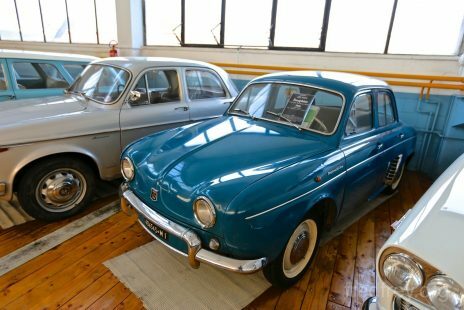 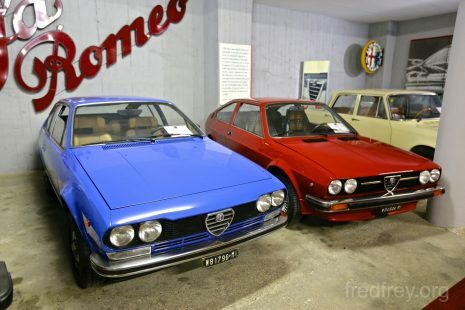 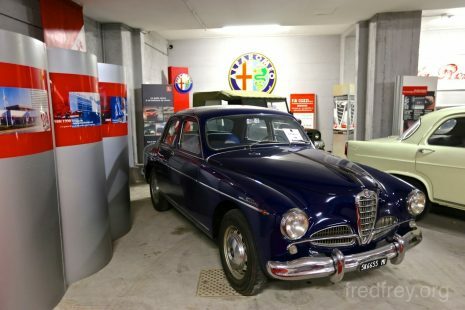 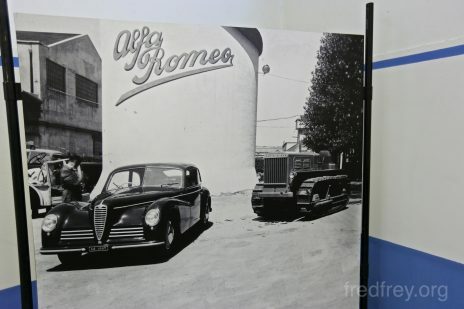 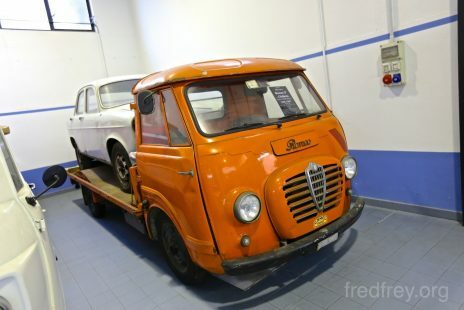 Not that any of the general public is permitted inside at the current time the Alfa Romeo Museum in Arase, but it houses one of the largest number of pre and post war Alfas in the world. 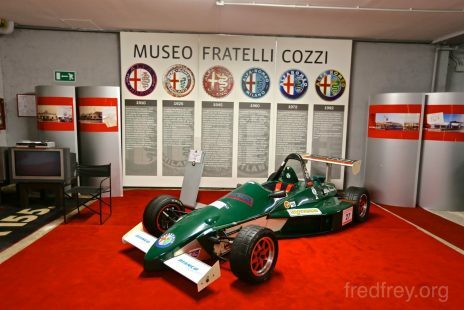 Look for the museums grand re-opening during the summer of 2015 coinciding with the Milan Expo. 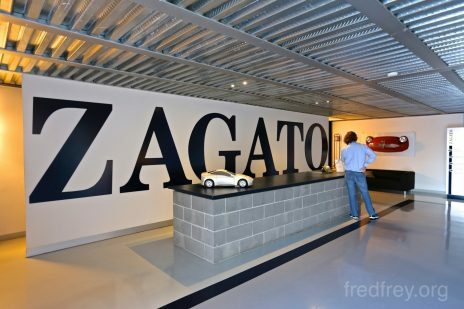 Coach builder Zagato is responsible for some of the most impressive Alfas ever made. 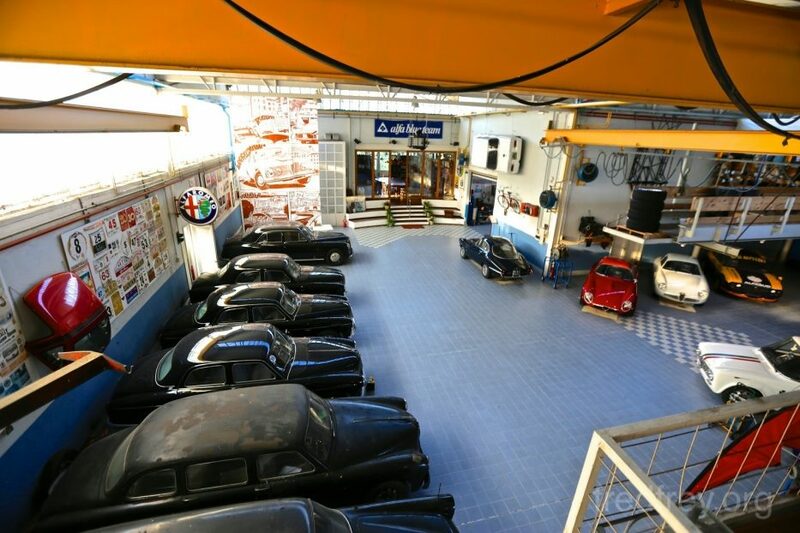 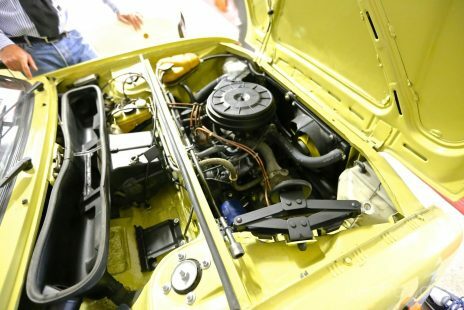 Their factory was never intended to produce a high volume of cars but currently they only design and re-body 9 units of each creation they decide to construct. 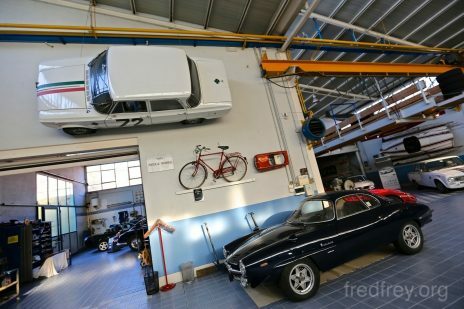 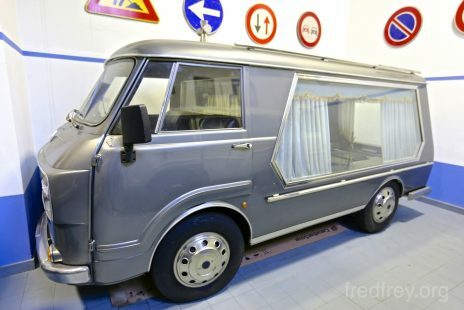 They also are able to re-body your new supercar if you are looking for something more unique. 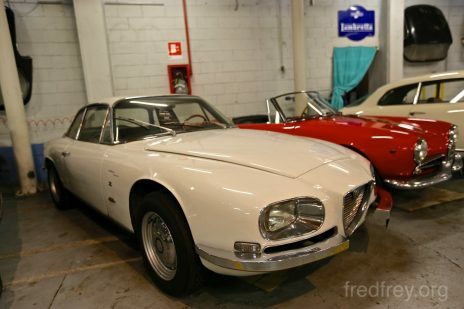 Just be sure your bank account is located in Switzerland. 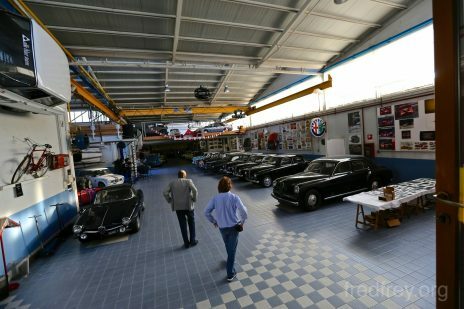 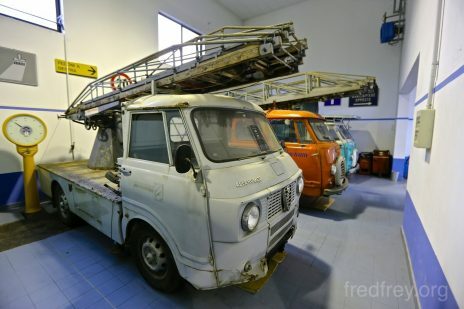 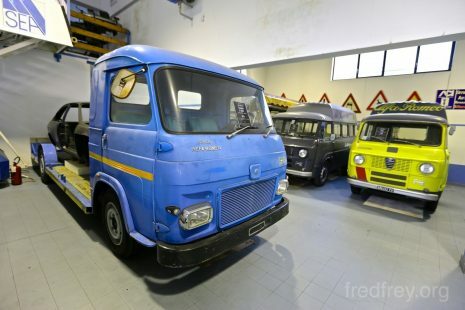 Some people collect cars, some also include various manufacture publications – A private collector in Northern Italy has taken collecting to an entirely new level. 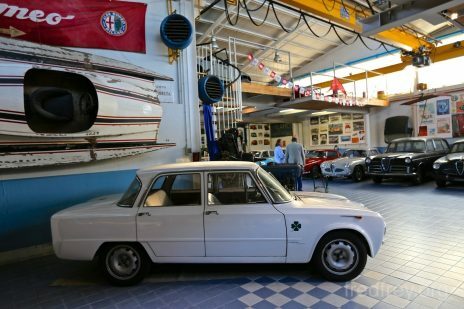 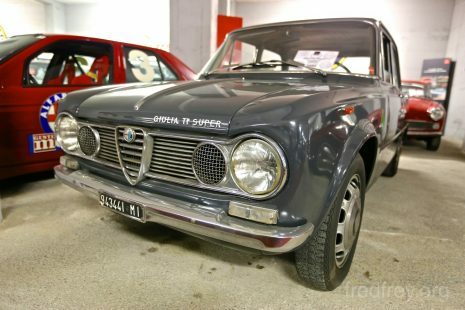 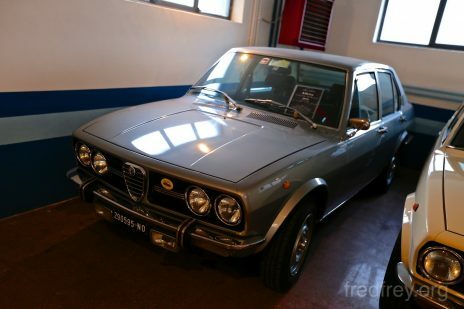 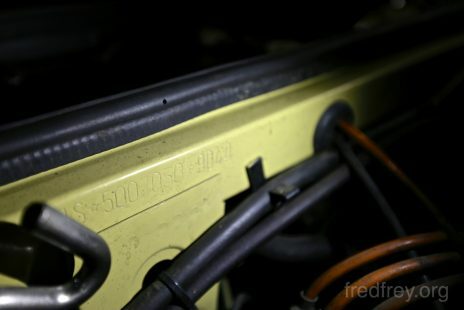 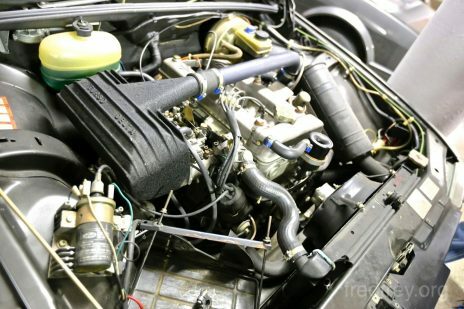 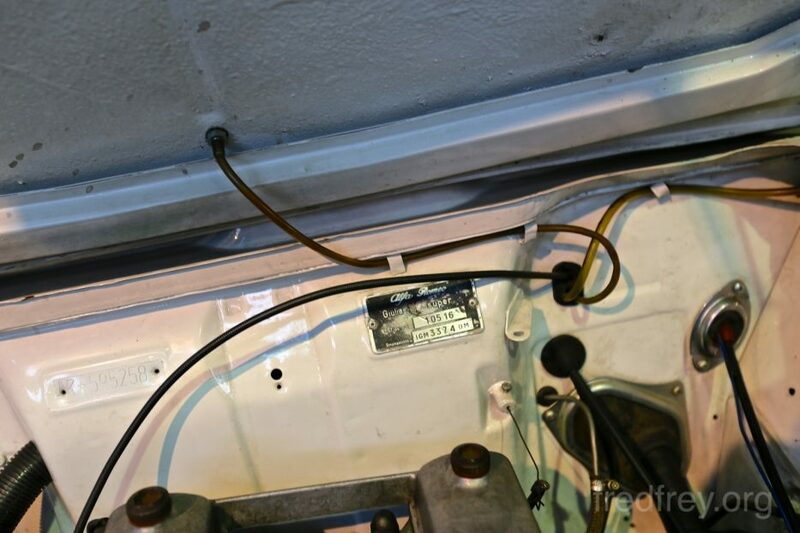 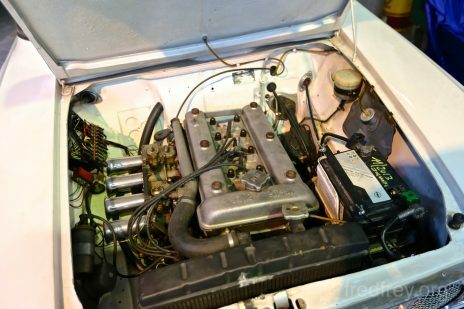 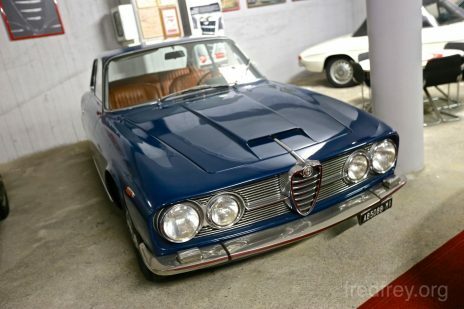 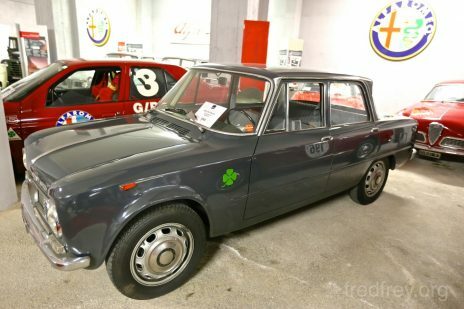 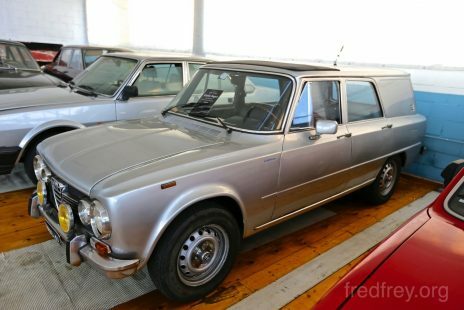 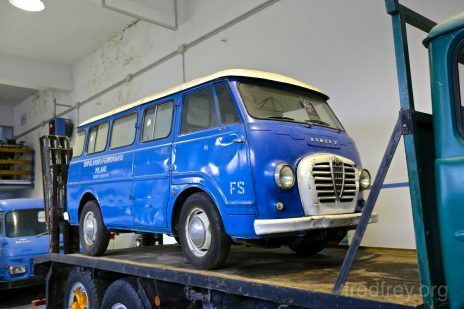 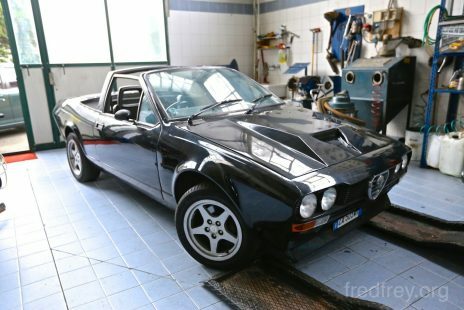 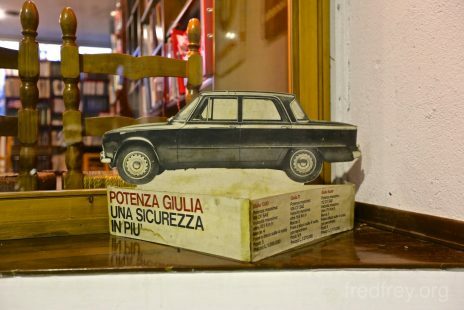 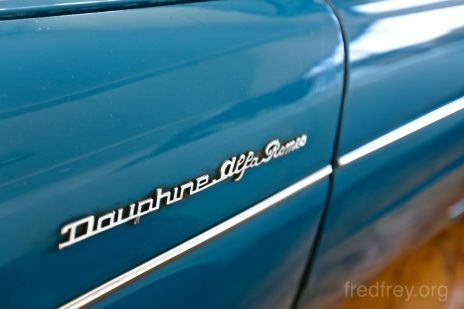 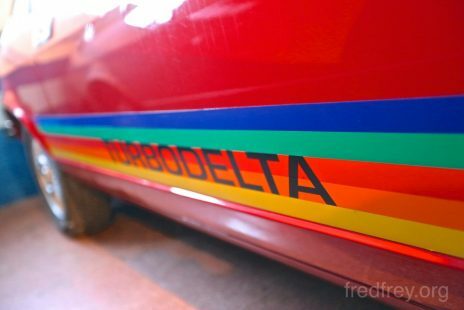 For 45 years this Alfisti has searched for the most interesting and unusual Alfas. 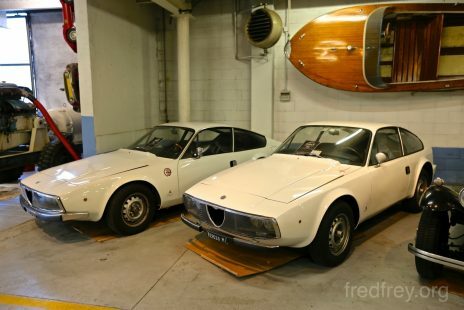 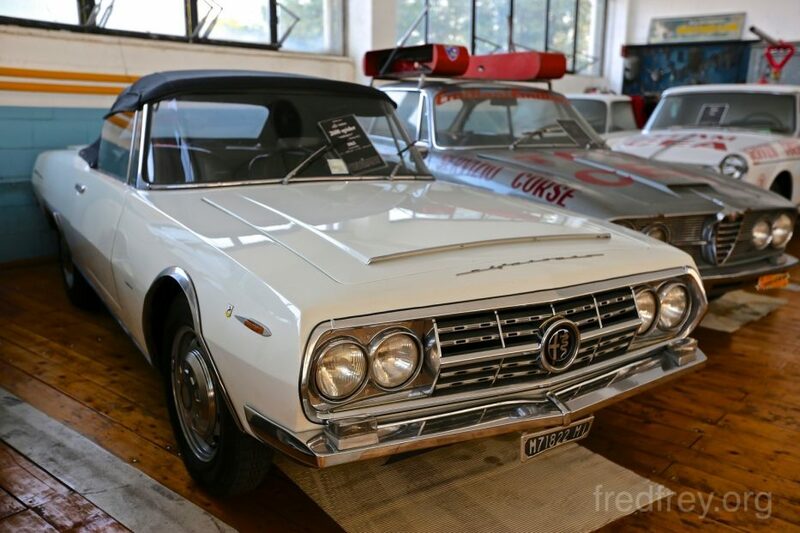 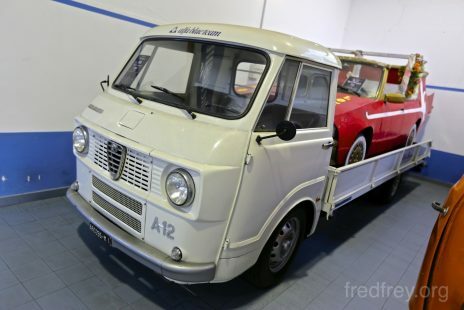 Many of the cars in this collection are one-offs or prototypes that the Alfa Romeo museum would love to have. 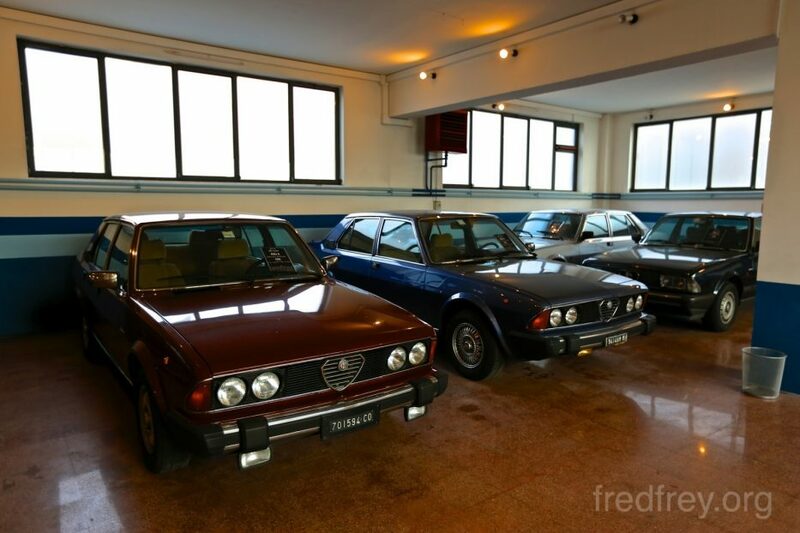 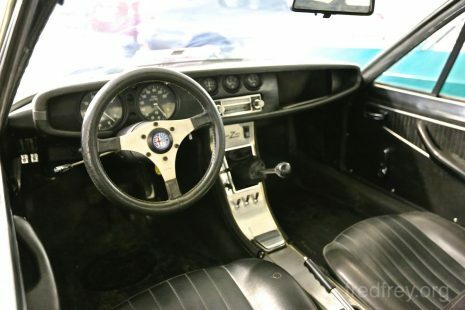 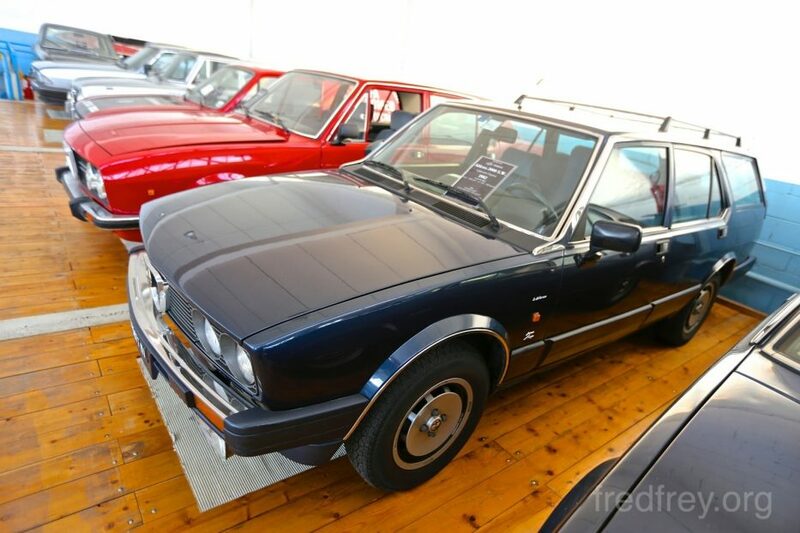 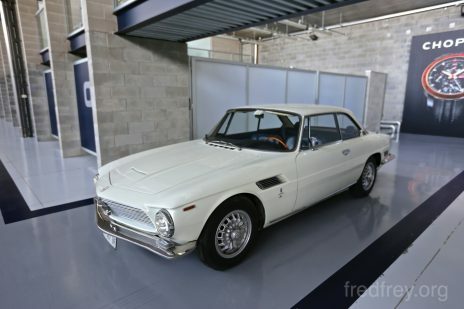 This collection is the life long ambition of a Italian gentleman who prefers to think of the buildings full of rare cars as a club for true Alfisti and membership is very exclusive. 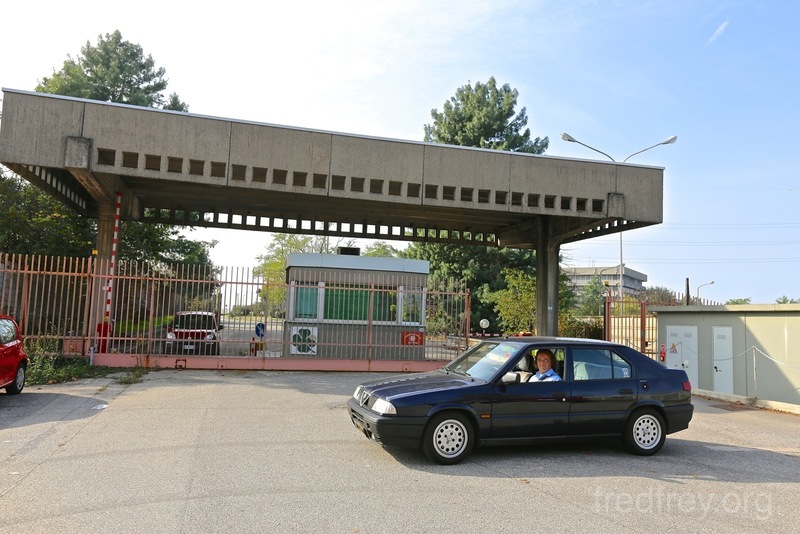 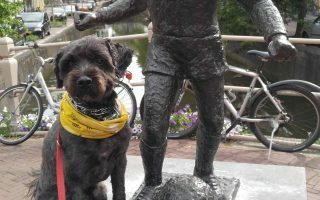 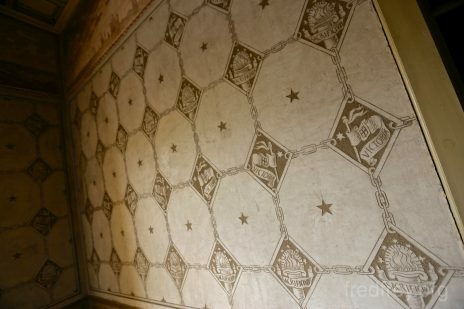 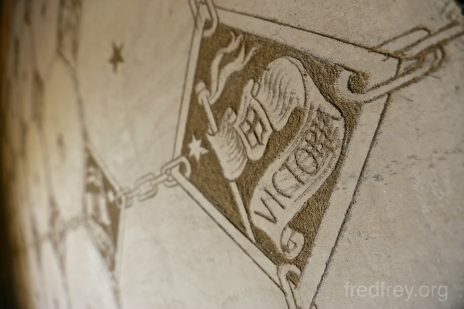 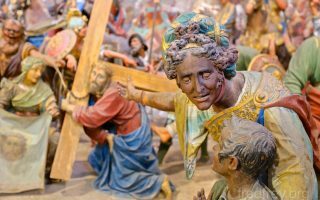 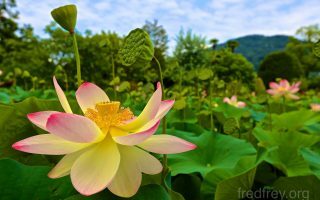 Previous ArticlePadua Trip – Day Six; Arrivo!